I just got around to installing the new knob and have a question. It seems you changed the design a bit. The older style invited some discussion because it had the shoulder on the bottom of the shaft that held the knob up off the arm. I have 10 of the old style and love them. The new style has the shoulder plus a thick collar which doubles the distance the knob is held off the arm shaft. Any concerns now that the torque is increased by the collar? The old style is on the right side, new style on the left. There is no problem at all. The new one is much stronger than the old style. My resource has a machine to test this knob. It handles much better than the old design. Hello JRD, I just want to mention that the new knob being taller is a good thing. I have a few as well, I really like these. I never had an issue with the older knob, but I'm liking the newer knob much better. 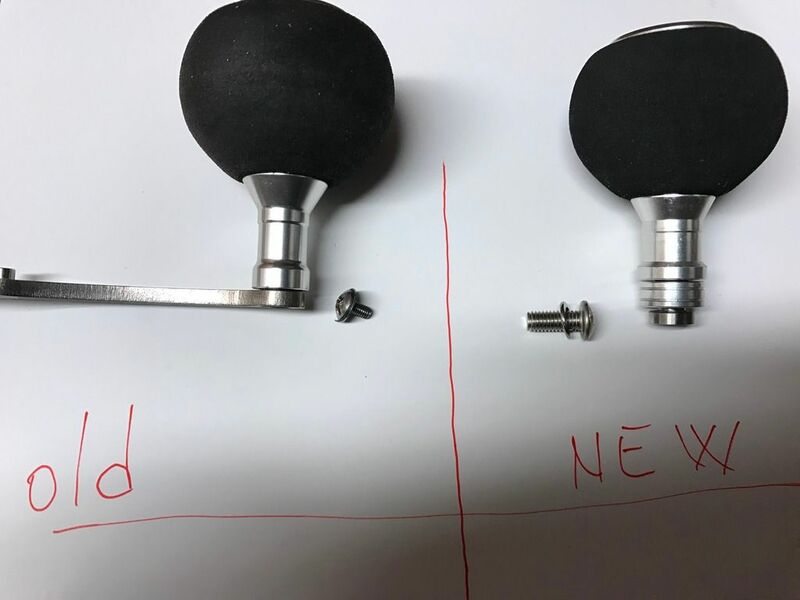 The mounting screw and shaft is larger than the older knob. There are usually two ways of mounting the shaft, one with a shoulder that sits in the mounting hole on the arm and one as flush mount that sits on top . Personally, I'm more comfortable having the handle shaft sitting on top and not in the hole, unless the tip of the arm is really wide there. Adam ( Motive Fabrication) has taking this into consideration, his arms would accept either design. The new design is pretty much the same, the shaft extention at the bottom doesn't have much to do with functionality, it is more for appearance than anything. Thanks, Sa;. This new design is one of the best improvement. Any idea when you will have more of the 45mm knobs in stock? I'd like to order the arm and knob at the same time. It will be few more weeks. This item is back in stock now. Look in the for sale section in Pro Challenger. Lots of other parts of interest too.